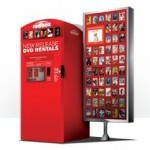 Enjoy a FREE one-night game rental from Redbox this week! Just make your reservation online – there’s NO special code needed to enjoy a FREE game rental. This offer is valid for a limited time only. Enjoy! If you haven’t used it before, you can try if you’re new to Redbox – and text SIGNUP to 727272 to sign up for Redbox Text Alerts too! Cold Drinks FREE after Amazon Account Credit! Amazon Prime members can enjoy FREE Cole Beverage samples after an Amazon account credit! Just purchase the beverage(s) of your choice for $2-$4, and you’ll get a $2-$4 credit to use on select beverages. Note that there’s a limit of one of each kind of sample per customer. Toothpaste FREE after Amazon Account Credit! Amazon Prime members can enjoy FREE Toothpaste samples after an Amazon account credit! Just purchase the toothpaste of your choice for $2-$4, and you’ll get a $2-$4 credit to use on select items in dental care items. 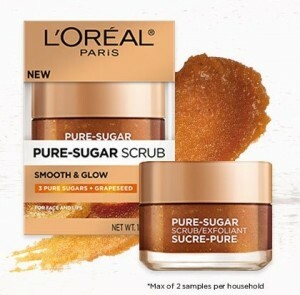 Note that there’s a limit of one of each kind of sample per customer. Love Lives Here FREE AudioBook! 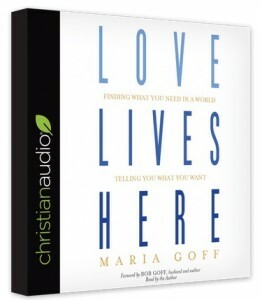 Love Lives Here by Maria Goff is the FREE audiobook being given away at ChristianAudio.com through the month of June.